Hello! 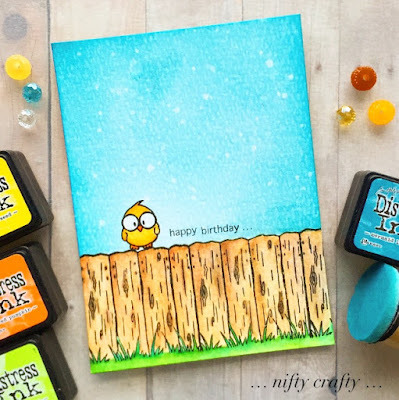 I'm sharing this simple one layer birthday card featuring little birdie from Gerda Steiner Design - Hoppines stamp set. I love the wood fence image from this set. I stamped it several time and on top of the fence I stamped the birdie. I colored them using distress inks. Next, I masked the images and inked the background using distress inks. Finished off the card with the sentiment.